Good morning from Los Angeles, where I'm covering AutoMobility LA this week. Thanks for reading. Please share this newsletter and tell your friends they can subscribe here. If you have tips or feedback just reply to this email. The big picture: It's still unclear whether people will embrace self-driving vehicles, but the report by KPMG says one way it could happen is by lowering the cost of goods delivery, enabling e-commerce to take a larger bite out of brick-and-mortar sales and reducing the number of shopping trips people make. That access to fast, low-cost delivery could make it irresistible to order even more stuff — and send profound ripples through the economy. They envision orders for goods being filled using a combination of artificial intelligence and robots, then delivered via a fleet of AVs. In some places, packages or groceries could be delivered right to your door. In more congested urban areas, they might be sent to a secure locker, the modern-day equivalent of a milk box. Ford estimates AVs will drive down delivery cost per mile to around $1 from $2.50, but KPMG says delivery cost for small, single-package "bots" could be as little as 4 to 7 cents per mile. What to watch: Smart retailers could have two choices — make delivery super-easy for their customers, or make their stores so inviting people will still want to make the trip. Through its 5-star rating program, the National Highway Traffic Safety Administration already provides a standardized evaluation of crash test performance that assesses a vehicle's core hardware. The same approach should now be taken for a vehicle's self-driving software, Matthew Colford, head of policy at AV simulation software supplier Applied Intuition, writes for Axios Expert Voices. Regulators could begin by independently validating the 100 most common scenarios, like merging into freeway traffic. A car that boasts level 4 or 5 autonomy but cannot handle these situations should not be on public roads. NHTSA, state regulators and AV providers could collaborate on the number and types of scenarios that should be tested for specific environments (highways, city streets, residential neighborhoods). AV providers would have input but would not be forced to share their internal training scenarios. The big picture: GM is tightening its belt by laying off roughly 15% of its workforce with an eye toward investing more in autonomous and electric vehicles, a bold bet on a future that is far from certain. Wall Street loved the decisive move ahead of an expected recession, but President Trump was furious. GM may have had little choice, given the disruption buffeting automakers. My thought bubble: This is a sad but important lesson about what AV companies should not be doing as they race to introduce autonomous technology. Take it slow. Get it right. Why it matters, per Carnegie Mellon's Philip Koopman: "Hopefully the self-driving car industry is realizing that as the technology gets comparatively better, you need better safety drivers and more attention to ensure they stay alert." Separately, just yesterday, Waymo announced they hired their first chief safety officer — Deborah Hersman from the National Safety Council who will "oversee the design and enhancement of Waymo’s product safety program, working closely with Waymo’s engineering, product and legal teams." 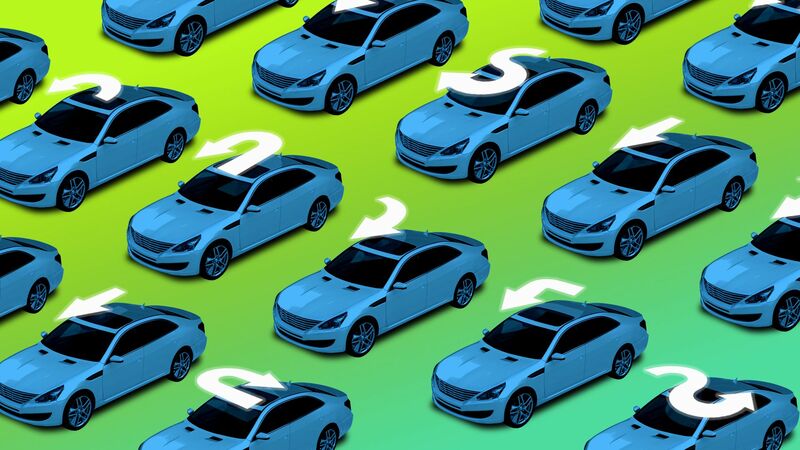 Because current safety tests are outdated, NHTSA is preparing to update its New Car Assessment Program (NCAP) to incorporate newer features, including some that will be in AVs, into the safety rating program, Christopher O'Connor, CEO of Humanetics, writes for Axios. What to watch: NHTSA leadership is currently reviewing feedback submitted during the October public comment period by automakers, testing equipment suppliers, automotive safety councils and consumer advocacy groups. It's up to them to chart the path forward, ideally in time for manufacturers to conduct internal tests and implement design changes for their next model-year vehicles. Electric vehicle startup Rivian made its debut at AutoMobility LA by taking the wraps off 2 new rugged battery-powered models — a pickup truck and a 7-passenger SUV. The big picture: Rivian is one of a slew of EV startups trying to elbow its way into the automotive industry at a time of unprecedented disruption. Rivian is targeting a unique niche: adventurous, off-roading families. Details: The R1T and R1S are particularly ambitious efforts, with big promises on performance, autonomous technology, and off-road capability. Both models come with 3 battery choices: 105 kWh, 135 kWh (for fast performance), and 180 kWh (for longer range). They goes on sale starting in 2020, with a price of $61,500 for the R1T and $65,000 for the R1S after the federal EV tax credit. The twist: Rivian is also plotting a strategy to share its technology with other companies and says its system can fit jet skis and snowmobiles, too. My thought bubble: Consumers still suffer from range anxiety when it comes to EVs. I can't imagine driving off into the wilderness in an EV, wondering if I'll have enough juice to get back to civilization. Maybe that's where the adventure comes in.